Stewart Green on the summit of Gray Rock at the Garden of the Gods in Colorado. Stewart M. Green is a former writer for ThoughtCo who wrote articles about rock climbing for more than eight years. 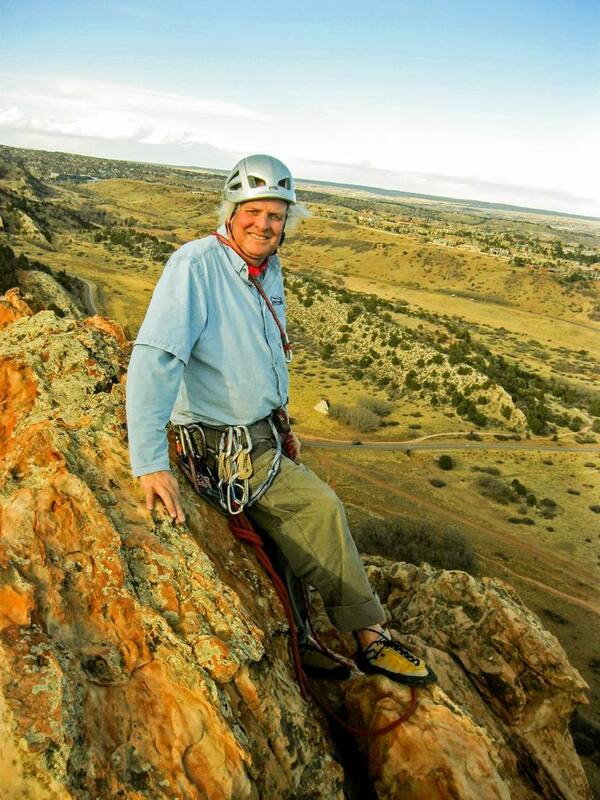 Stewart is an expert climber and co-owns Front Range Climbing Company where he acts as the senior rock climbing guide in the mountains of Colorado and Utah. Stewart started writing about and photographing the outdoors around 1977, landing his first job with Springs Magazine in 1979. Since that time, his writing and photography appeared in numerous books and websites. Stewart's experience includes working as a digital editor for Alpinist.com where he wrote about and photographed some of the most famous climbers in the world. Stewart is a prolific writer. His work appears on many websites and magazines which target the outdoor enthusiast audience. He has more than 20 books to his credit about climbing and hiking. Stewart worked with the Colorado Springs Department of Parks, Recreation, and Cultural Services to solve problems with rock climbing in city parks. He was a member of the committees for both the Red Rock Canyon Open Space project and the Garden of the Gods project. Stewart M. Green earned a Master of Fine Arts (MFA) in Creative Nonfiction Writing from Goucher College in 2007. He also holds a Bachelor Arts (B.A.) in Anthropology from the University of Colorado–Colorado Springs. What's the World's Highest Unclimbed Mountain? When Should You Get an Alpine Start?